Hi, I am a crazy cat lady, what else is new? You might recognize this dress from the runway two seasons ago in Victoria by Victoria Beckham Spring 2012 Collection. But let's be real, I am not going to spend $1,250 on a dress, so here I am wearing a replica of it. 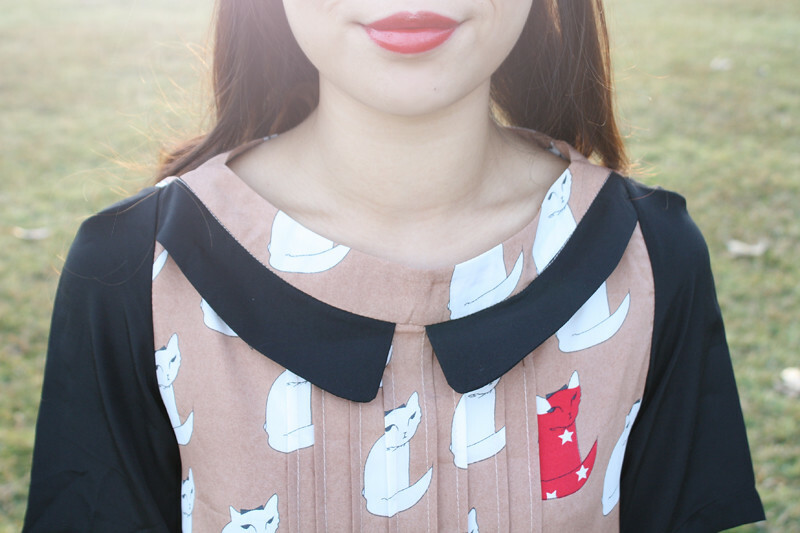 Cat print, pleats, collar, drop waist... perfection. Thought I would throw in a couple of extra colors to make the look more fun. The bag tied the outfit together by bringing out the red in the cat print and matching the burgundy of the laced up flats. 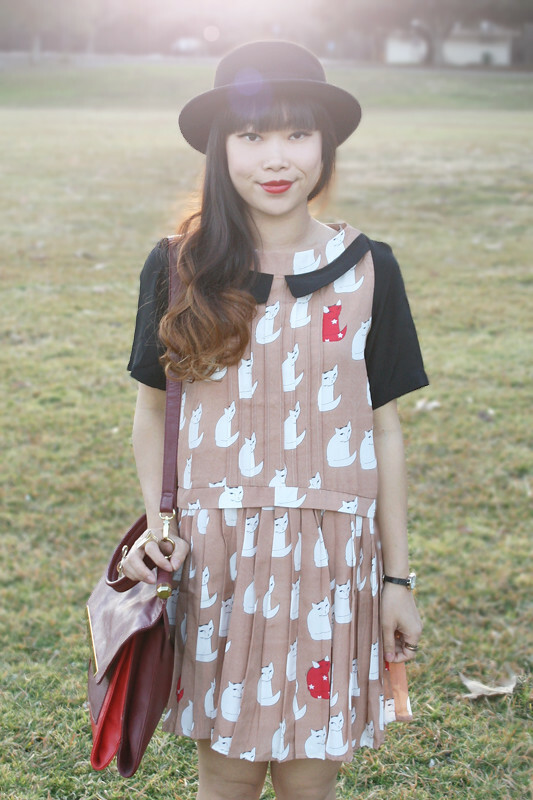 Cat print dress from Sheinside. Two tone handbag c/o Nila Anthony. Suede laced up flats by C.Label from MakeMeChic. You styled this dress perfectly. It looks GREAT with those shoes and that beautiful bag. Aww crazy cat lady you are amazing! 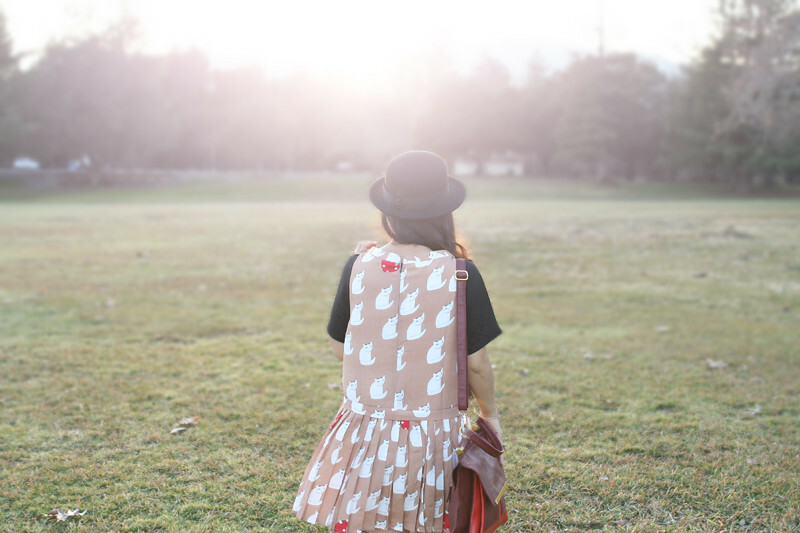 I love the way you styled this dress. I don't think the crazy cat lady saying applies here! You look fantastic and I always imagine the "crazy cat lady" looking awful and messy! I'm so in love with your outfit and your amazing style! 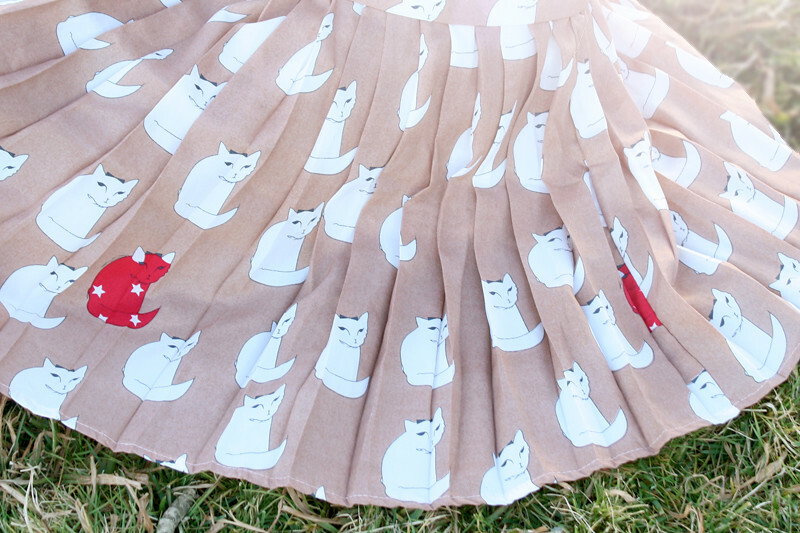 That dress is so cute! I also am swooning over your bag and purse; they are perfect! I love those shoes and your hat, and everything!